Is this Amazon’s 3D infrared Kindle smartphone? 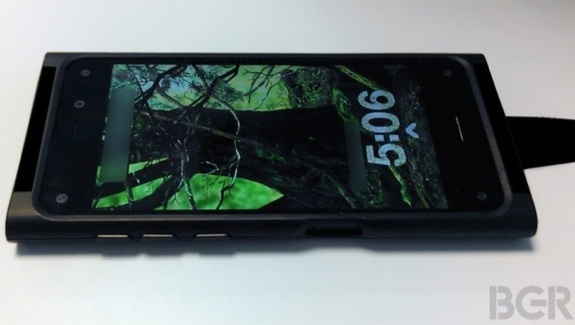 Our friends at BGR is reporting that it has acquired an image of Amazon's upcoming smartphone with 3D display. Purportedly, this is a prototype, and if it's true, it has some interesting features that set it apart from the pack. The biggest feature is a 3D effect that is powered by a series of infrared cameras that are used to to track the eyes and face of the user, which then uses the data gathered to power the 3D effect without using the typical methods of deliverying glasses-free 3D (like found on the Nintendo 3DS.) The display is a 4.7-incher, along with a 13-megapixel rear camera. Amazon has been rumored to be working on its own smartphone for years, ever since releasing the first Kindle Fire tablet. According to the Wall Street Journal, Amazon's 3D smartphone should ship to customers this September.